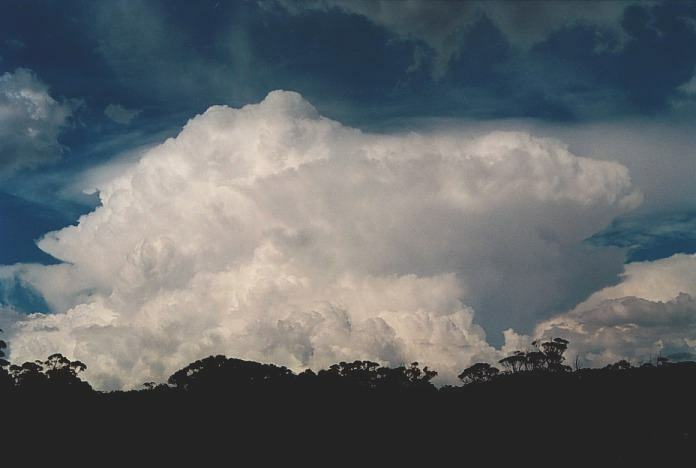 As was mentioned in the previous Storm News image of the month, on the 1st September, an isolated supercell developed and passed over Wyong. We were unfortunate not to be able to see the base structure of this storm so we had to enjoy the impressive outside development. 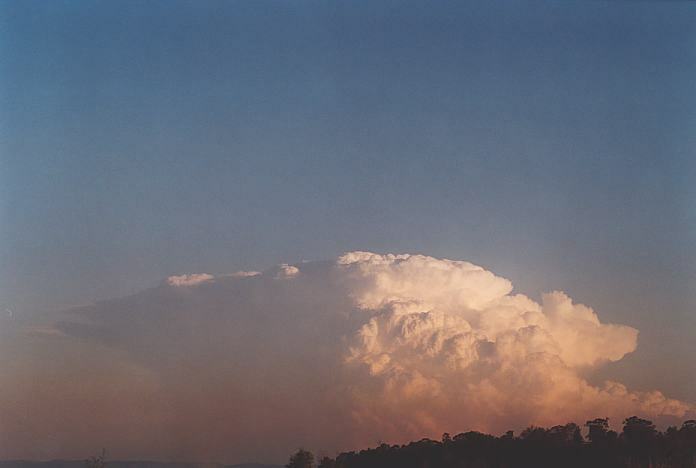 Well Ben Whiteside had an excellent view of this storm's base structure and photographed what I believe is the most impressive base structure caught on film of an LP (low precipitation) supercell in Australia that I have observed. You can see the the circular base which is clear evidence of rotation caused by the low level wind shear into the incredibly dynamic atmosphere. This can only illustrate just how important low level turning is for the development of whole storm rotation. 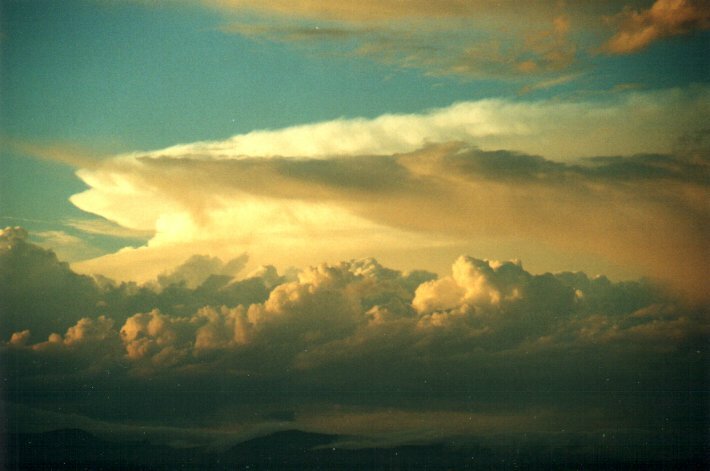 These photographs were of the approaching storm. 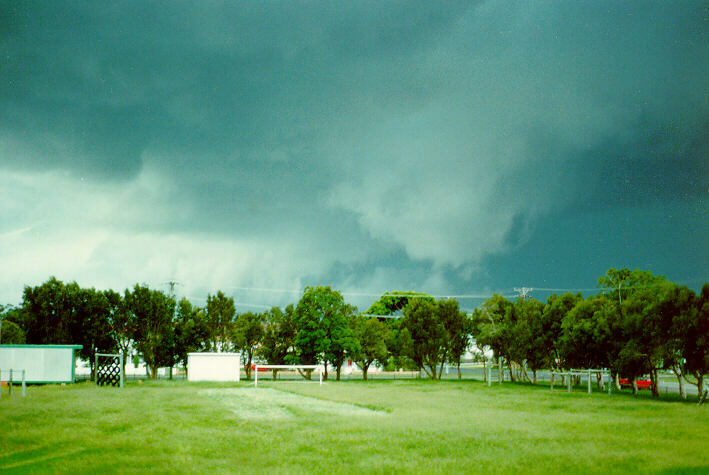 The conditions on this day were excellent for the development of supercells. A dryline setup situated particularly to the N of Sydney, what also was impressive was the cold very dry air aloft and a strong cap. 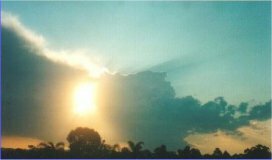 The isolated storm developed during the afternoon well to the northwest of Wyong but exploded just to the W and changed its course. This became one impressive looking storm with crisp top and very impressive corkscrew updraught. 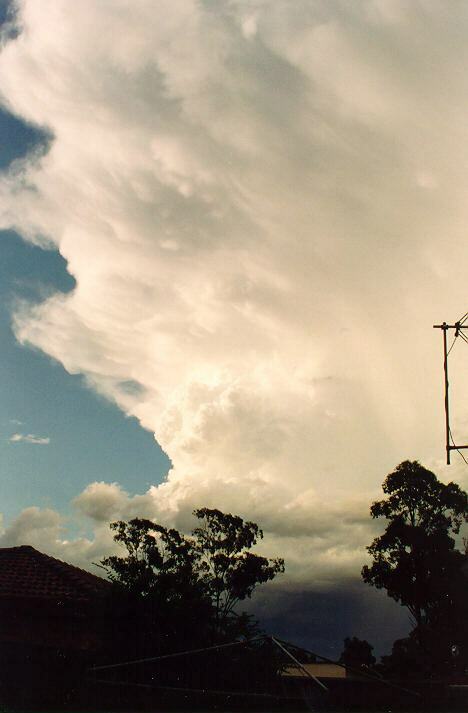 Large hail was reported in a narrow path but which caused extensive car panel damage in the Wyong area. The storm collapsed just as it crossed the coastline. 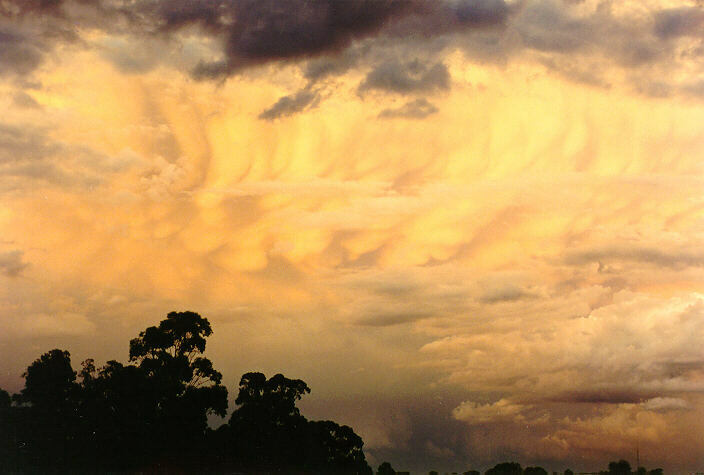 After a severe thunderstorm afternoon two days earlier, the 28th March 1993 produced more thunderstorms. Earlier during the afternoon, smaller storm cells developed with showers and lightning observed. 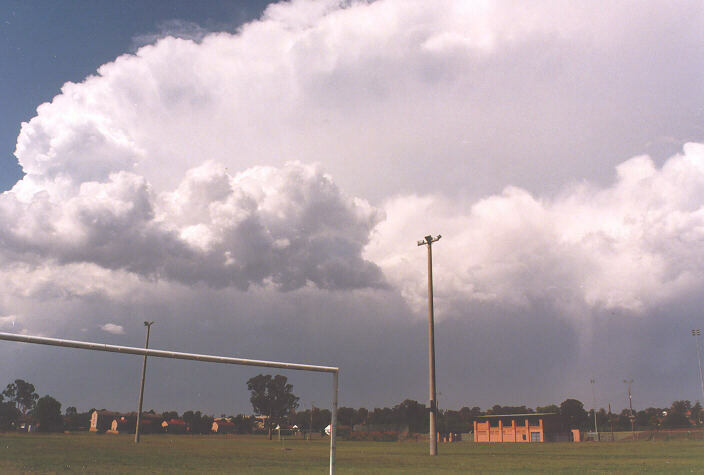 But during the latter part of the afternoon, a more severe thunderstorm developed to the southwest parts of Sydney. This produced very heavy rain and very strong winds. Hail was reported at Richmond. This band of storms eventually moved on towards the Central Coast. The 12th November 1997 started out hot and remained so during the courses of the afternoon. 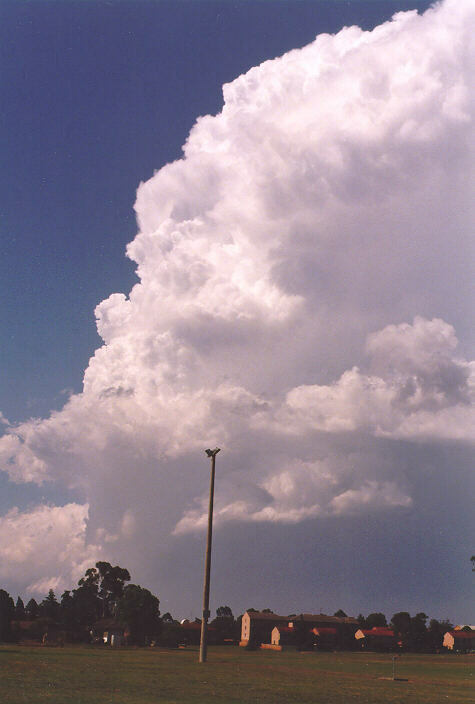 Some thundery activity developed near Penrith during the early to mid-afternoon period. Heavy rain occurred at Werrington but this was only the start. 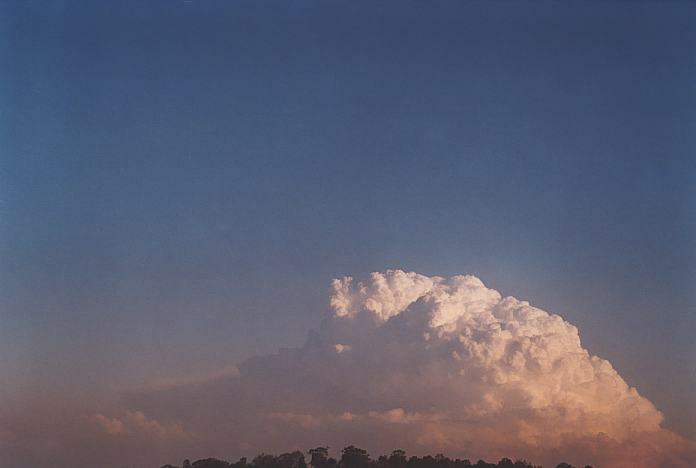 The storm made its way towards Richmond and Windsor and exploded into a supercell. Pittown reported golf ball sized hail as the storm intensified. But it eventually dropped 7cm hail over the suburb of Maroota causing incredible damage to crops. 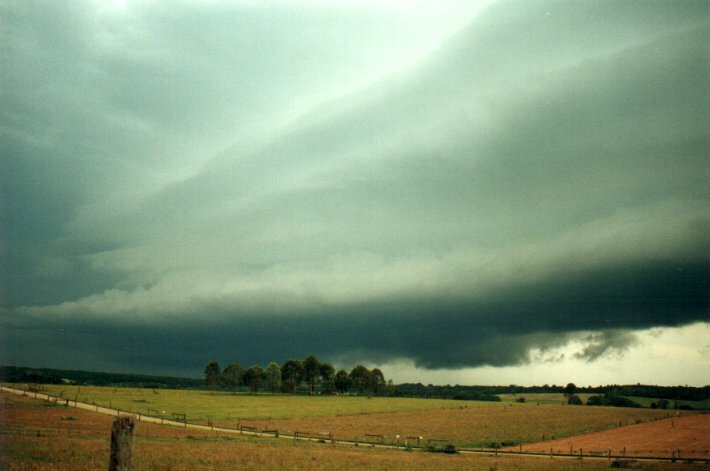 The 8th of December 2000 was the third day of a supercell outbreak. 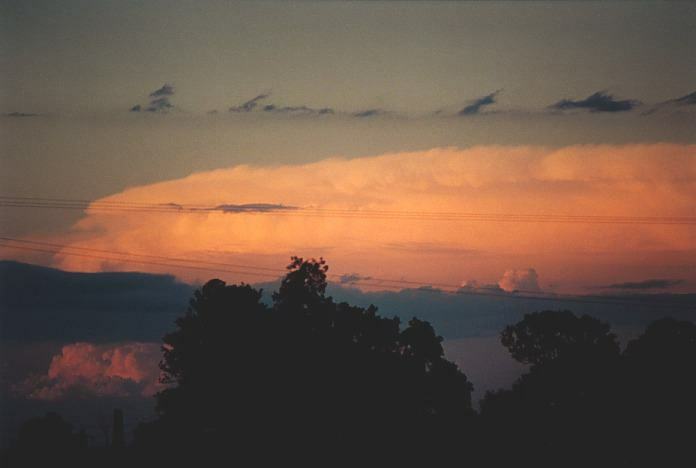 After early severe thunderstorms, another thunderstorm exploded after splitting form another storm and moved almost directly north. Soon after though it became more outflow dominant. 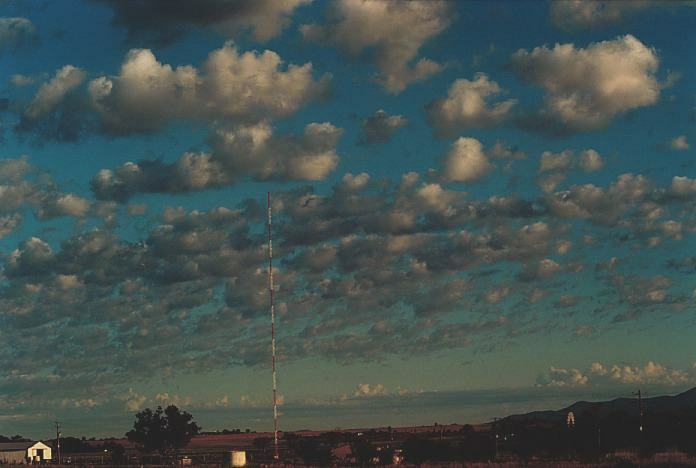 Later that afternoon, a dryline (or trough) moved through with considerably drier air. The line of supercells moved off the coast. 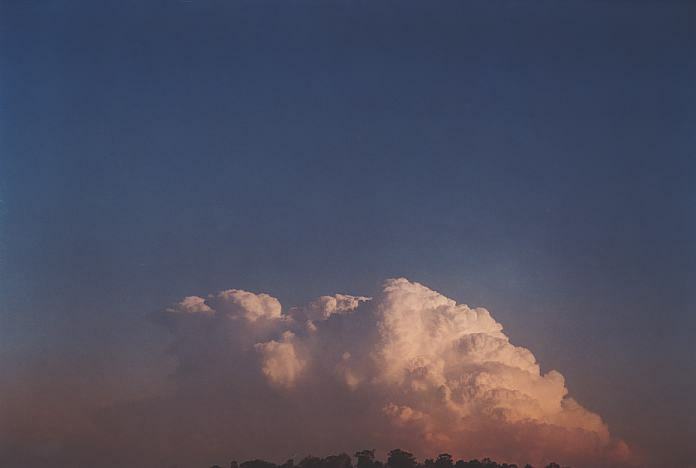 But what remained behind was a cumulonimbus that lacked precipitation, maintained for over an hour and seemed to twist in its updraught. 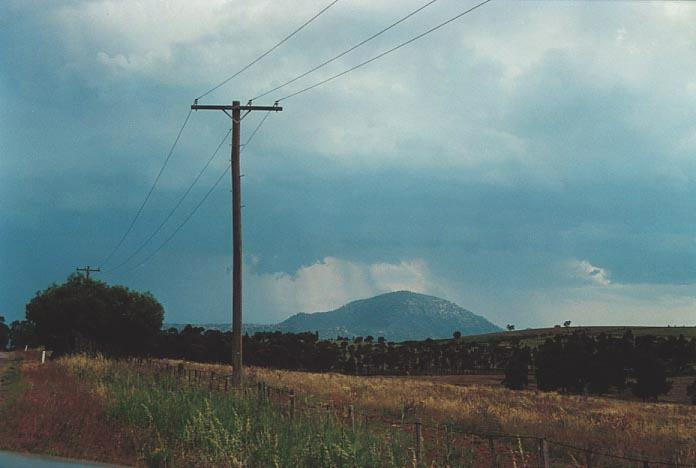 I finally realised that it was an LP (Low Precipitation) supercell. 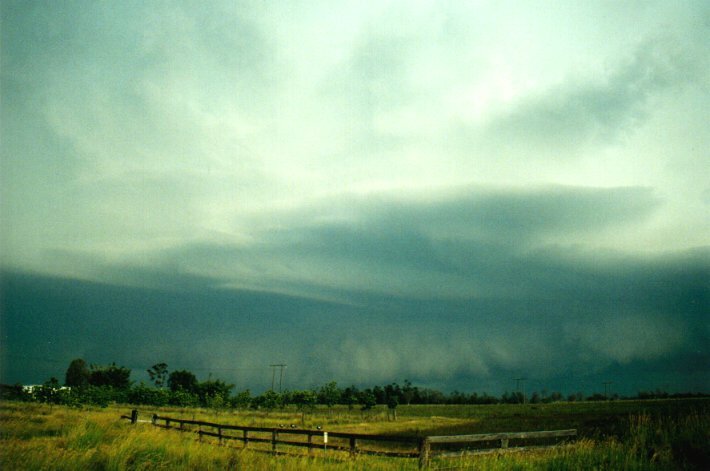 This feature where LP supercells develop on the back end of an outbreak line has been recognised by chasers in the United States. 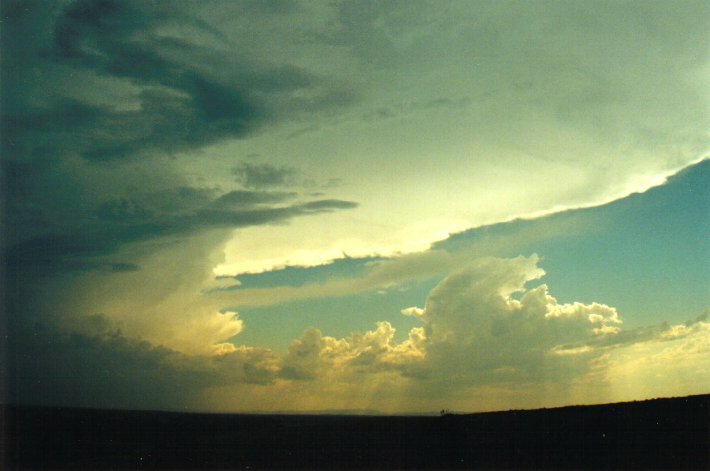 During our recent storm chasing trip in the United States 2001 we noticed this in two separate outbreaks. The 29th of May 2001 will be best remembered as one special day for both David Croan and myself. 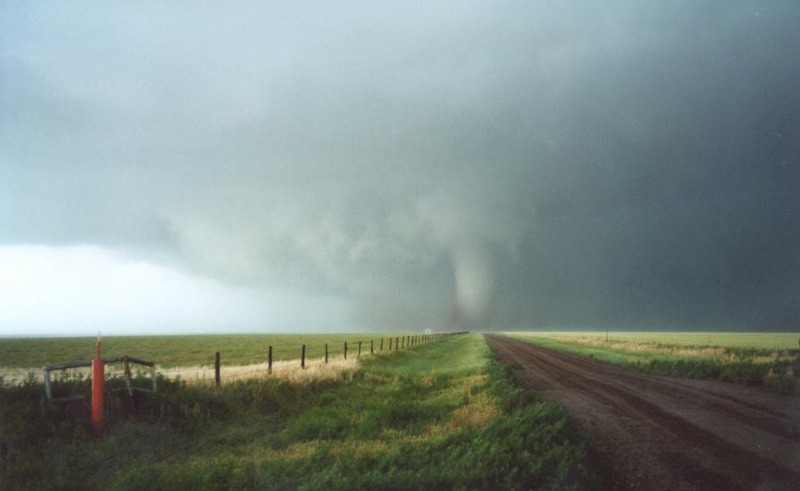 It was the first time we had come up close to a large tornado. 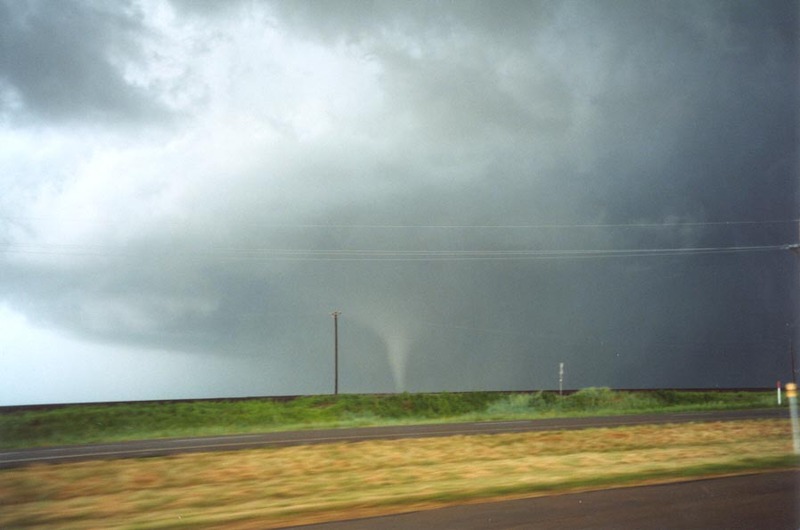 This tornado (unfortunately) demolished a house and picked up three cars and threw them a couple of hundred yards. The tornado touched down near Panhandle and then made a direct track towards White Deer!! It was apparently heading right for the town, crossed the road further ahead of us and became stationary. 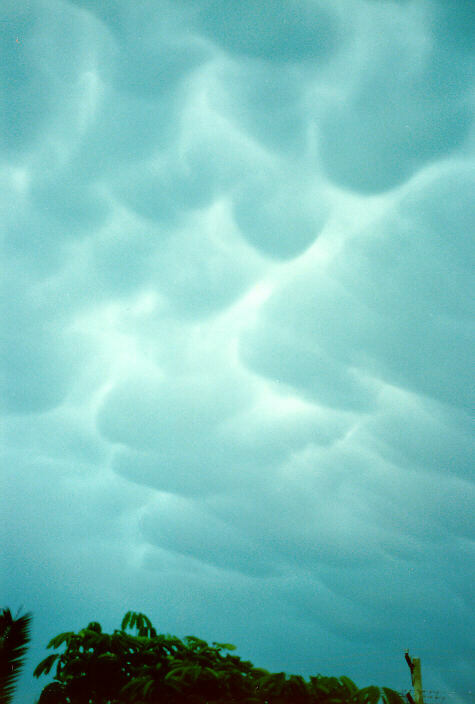 Soon after it dissipated luckily for the township of White Deer. 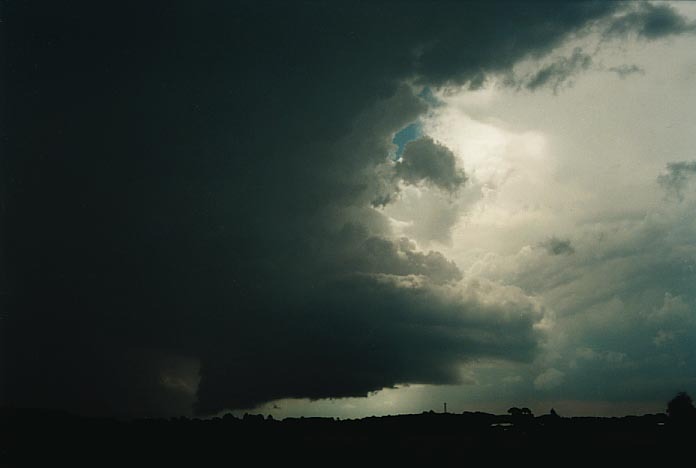 One of the first severe thunderstorms I documented on film. 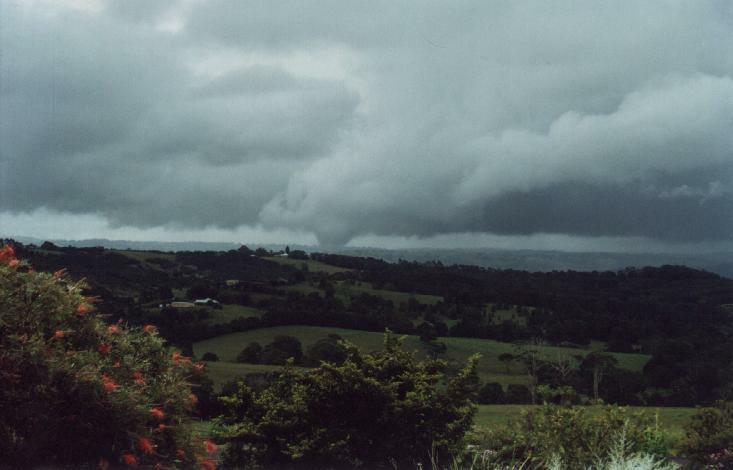 This occurred in Ballina on the 19th January 1989 as a north-south aligned trough pushed through the region. A lovely shelf cloud and mamatus formation arrived from the SSW. 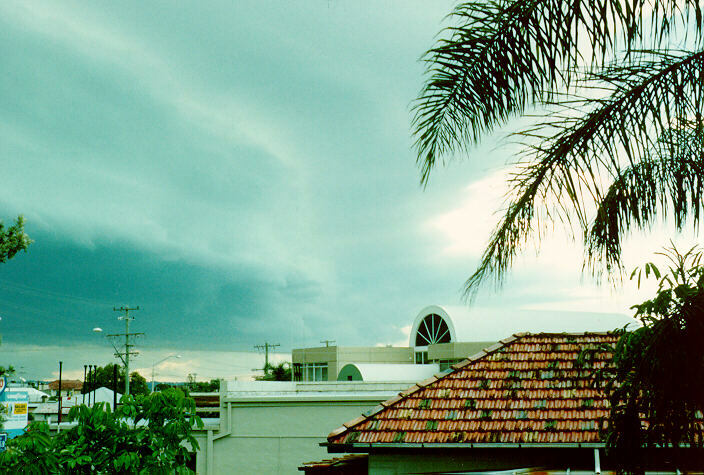 The core of the storm passed over East Ballina and caused some wind damage there. 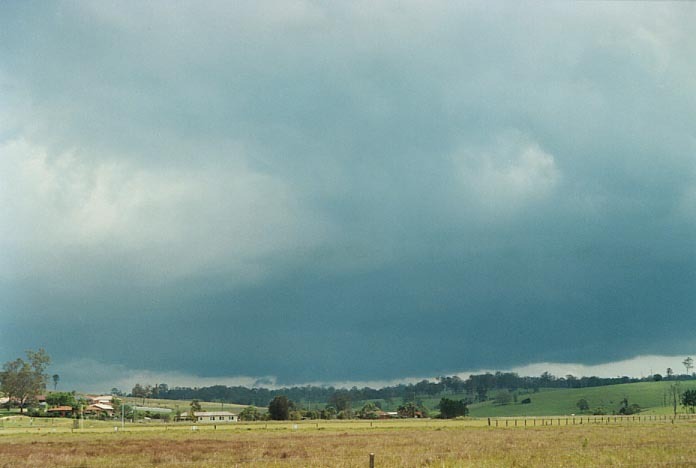 From my view in central Ballina and looking towards the NW flank of the cell, a funnel shaped lowering occurred in the wall cloud. 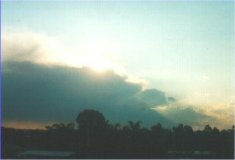 The 4th November 2000 continued on the outbreak conditions from previous days. Unstable conditions were expected and certainly early signs of castellanus were certainly encouraging. 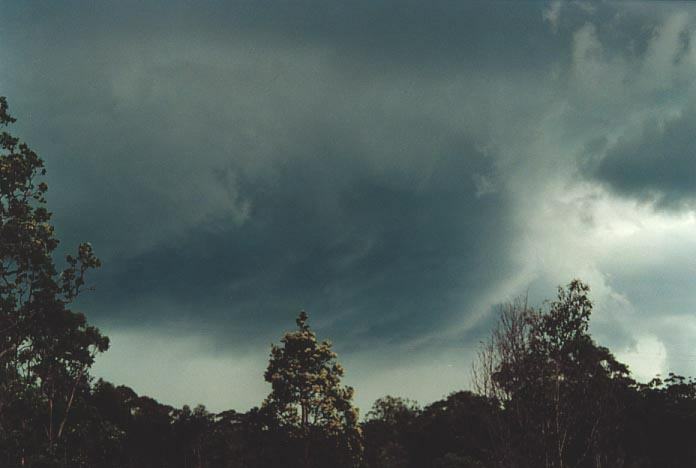 As the day wore on, it was the coastal areas that produced most of the severe weather with a massive hailstorm destroying cars and property at Dorrigo only one of the many supercells. Michael Bath also chasing further north observed some interesting lowerings with severe storms there. 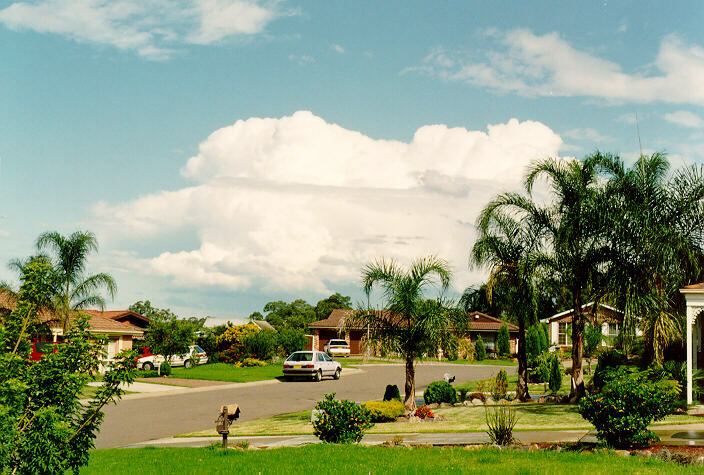 And definitely, conditions were more ideal in southeast Queensland on this day. 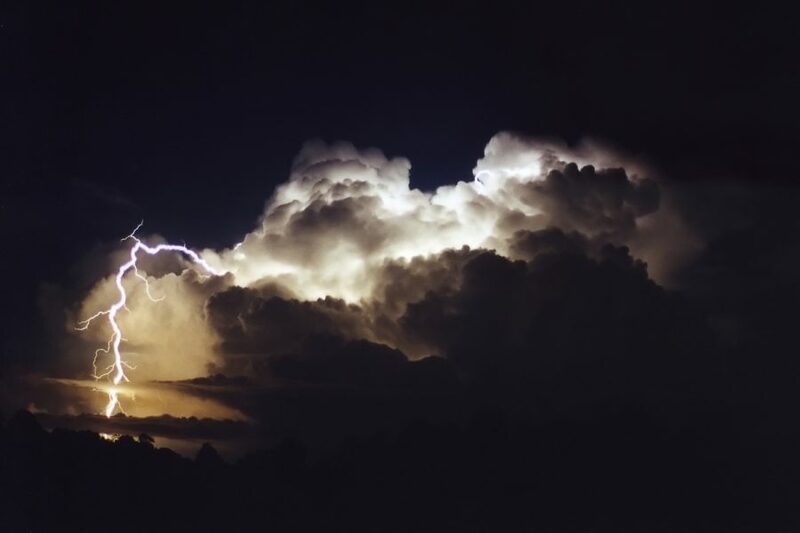 The day ended with more storms developing later during the night providing a spectacular lightning show. The 7th January 2001 provided a spectacle I had never imagined. On a day with low wind shear and I suppose good directional wind shear, severe pulse storms were expected. 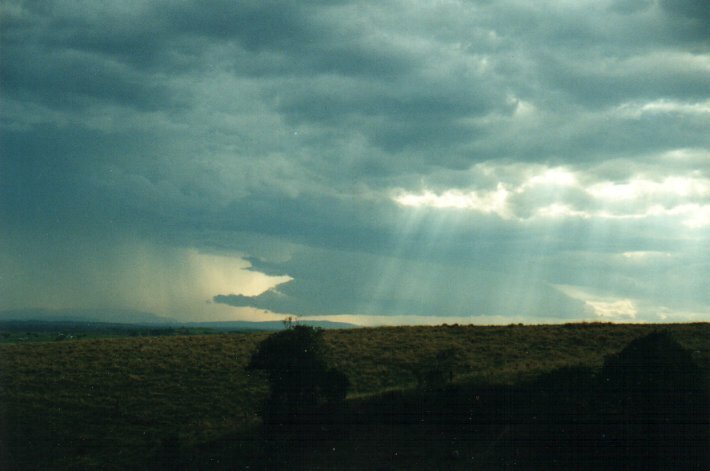 Well pulse events they were and obviously with hail but when I rose above the hill, "Wow!!". I could not believe me eyes. 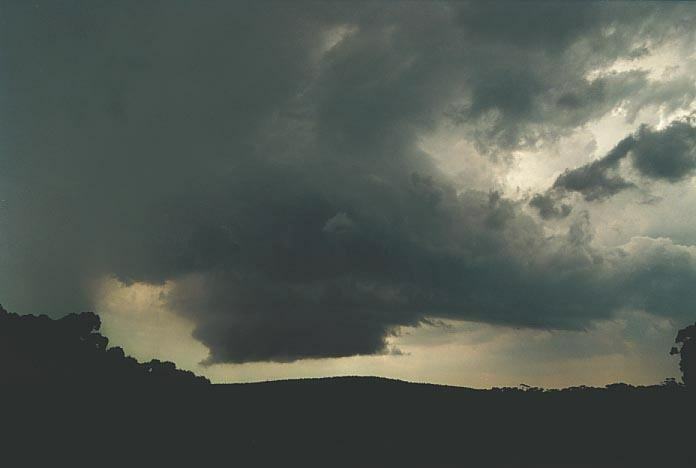 A wall cloud. Two storms had split (observed on radar) and I had chased the left mover; the stronger of the two. This lasted at least 20 minutes and looked better on video. I watched the wall cloud basically fall apart, obviously part of the weakening phase of the storm. 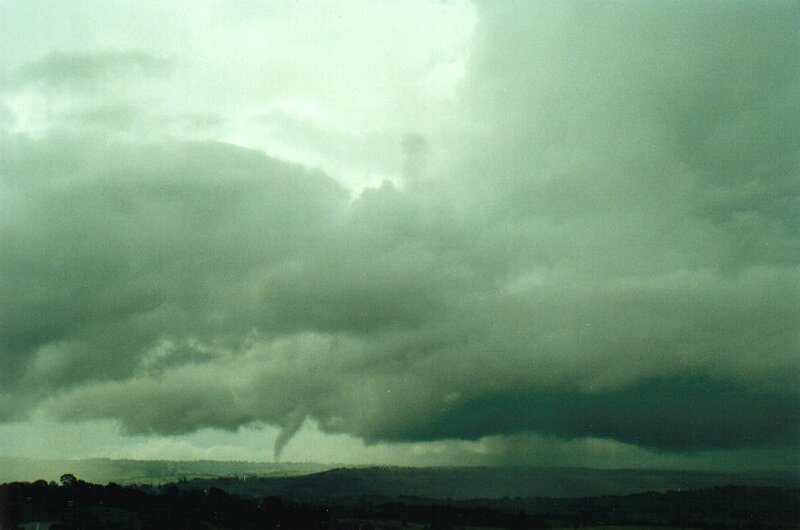 The 29th January 2001 provided a surprise tornadic funnel in the valley region north west of McLeans Ridges. Both Michael Bath and Dave Ellem photographed the event. 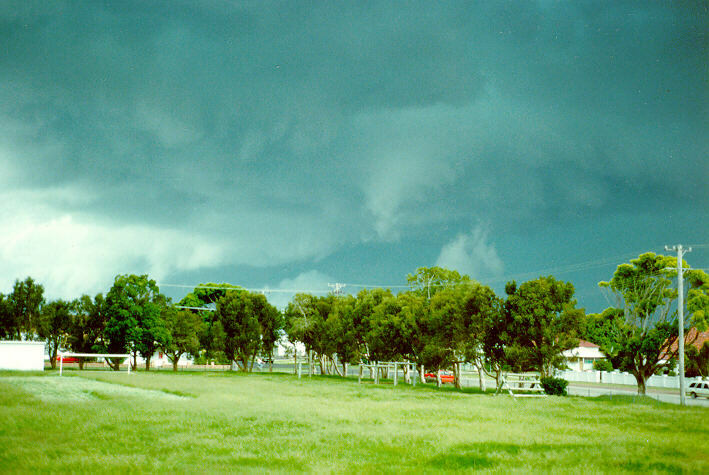 The tornado lasted 5 minutes with the accompanying wall cloud lasting longer. 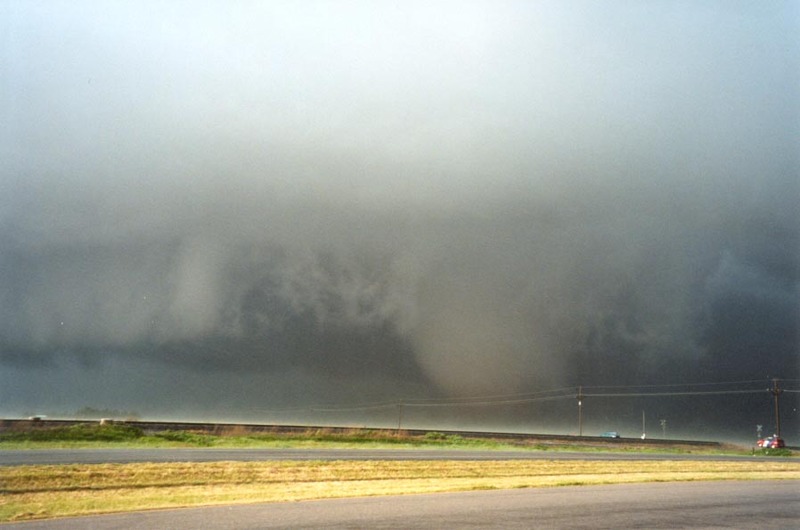 It seems the tornado came from a multicell system and was not supercellular mesocyclone as such. Nevertheless, the structure of this funnel was truly awesome!!! 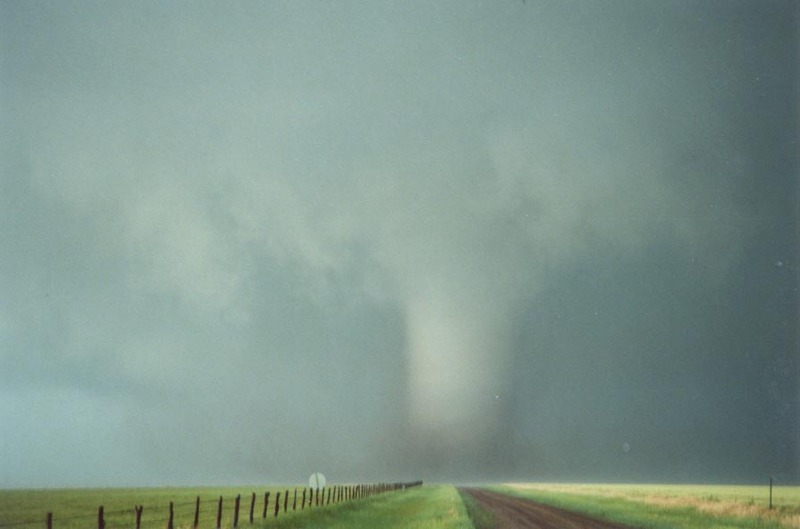 The 17th January 2001 was a day that was expected to produce another outbreak and chasers were not disappointed. But for Michael Bath and Dave Ellem in particular, it was the most incredible experience. 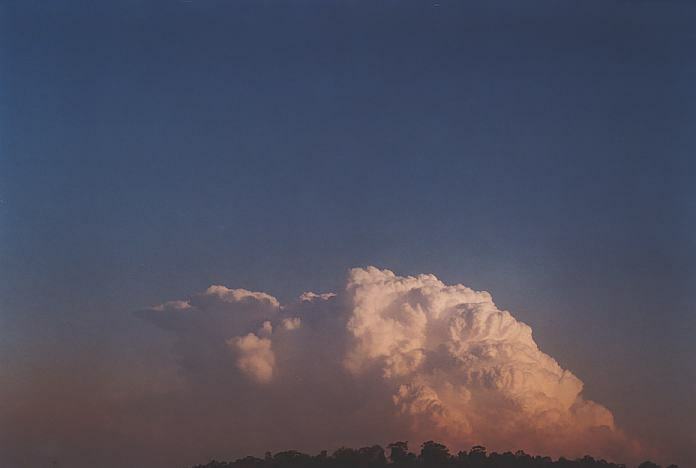 Although the cap (atmospheric 'lid' holding down convection) was strong, it was a matter of time that the cap broke. 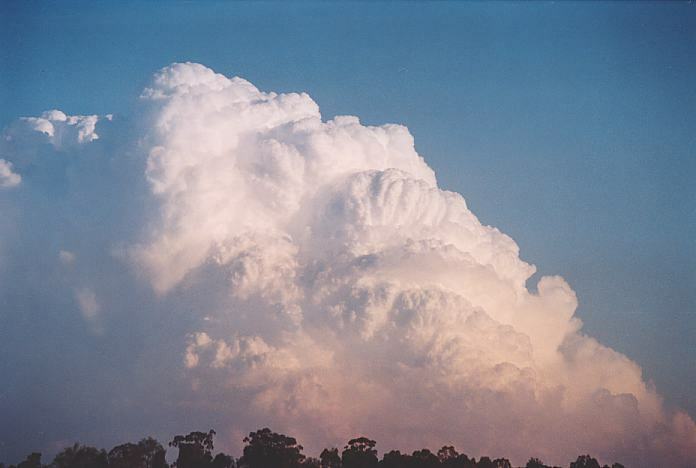 During the afternoon, it did break and supercells exploded along the line from near Tamworth to the Northern Tablelands and also up and down the northern ranges, North Coast, Mid North coast, and even as far down as Sydney. 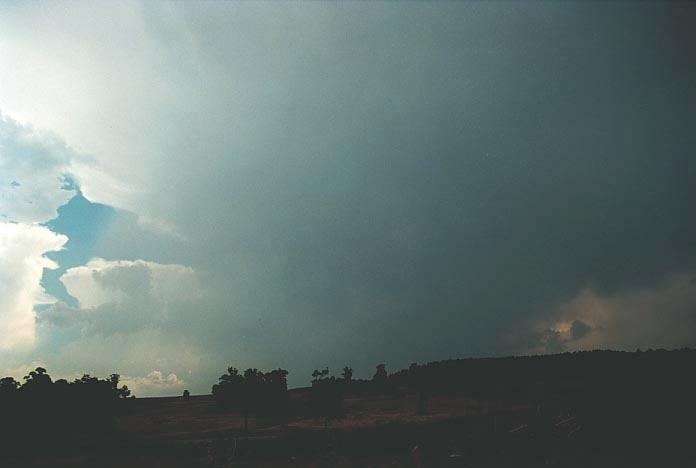 Michael and Dave were in position observing a spectacular LP (low precipitation) supercell to the north of Casino and an HP supercell to the south of Casino. 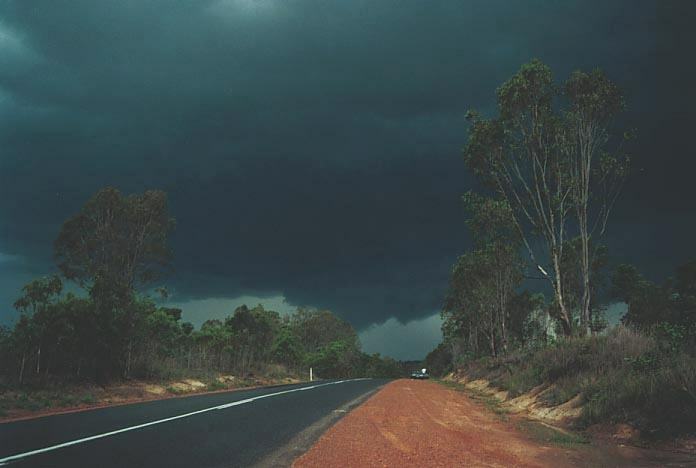 But when the time came to move, it became a nightmare trying to outrun the supercell, mainly due to the road network. They found themselves in it. 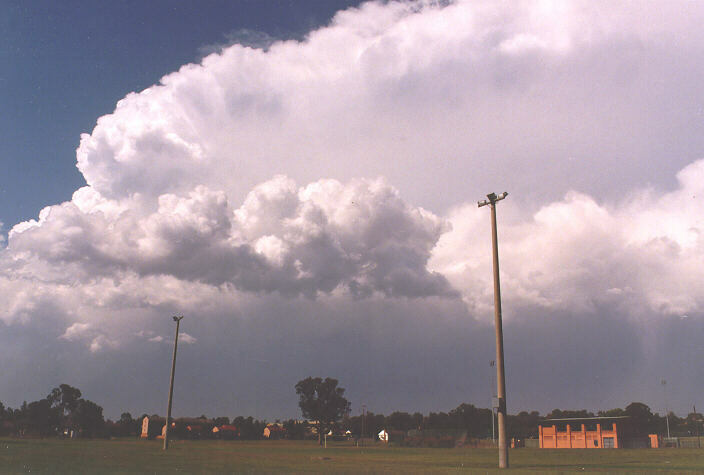 The supercell produced severe winds in the form of microbursts, large to giant hail and extremely heavy rain. A possible tornado also may have occurred. 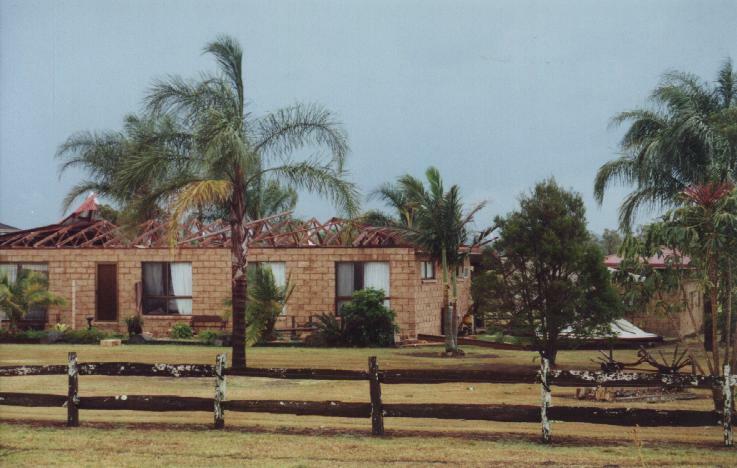 Casino was devasted by the storm with hundreds of building suffering major roof damage. Casino was declared a natural disaster area. 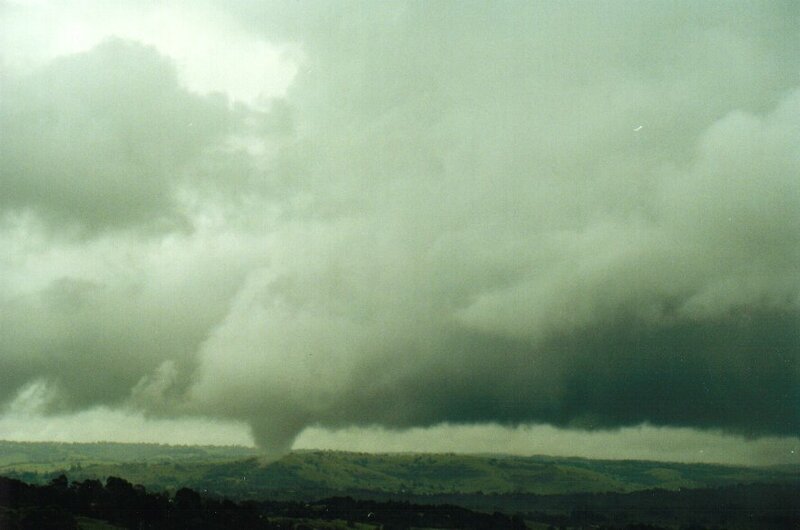 The 6th December 2000 was a special day for chasers on the Thunder Down Under Storm Chase. 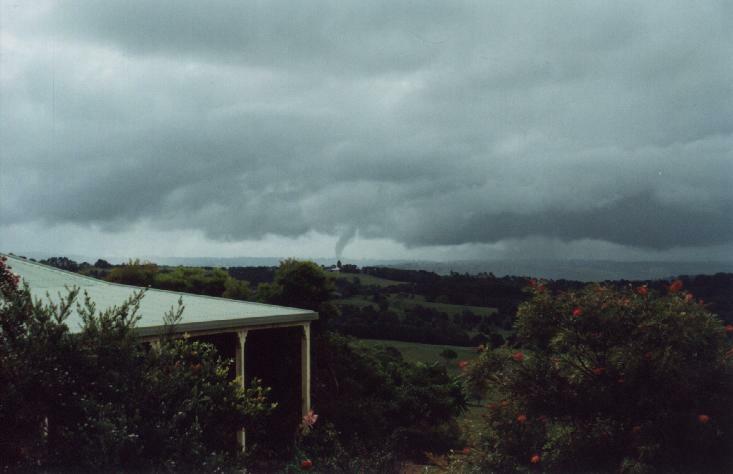 The team of chasers were in the Hunter region just north of Sydney. 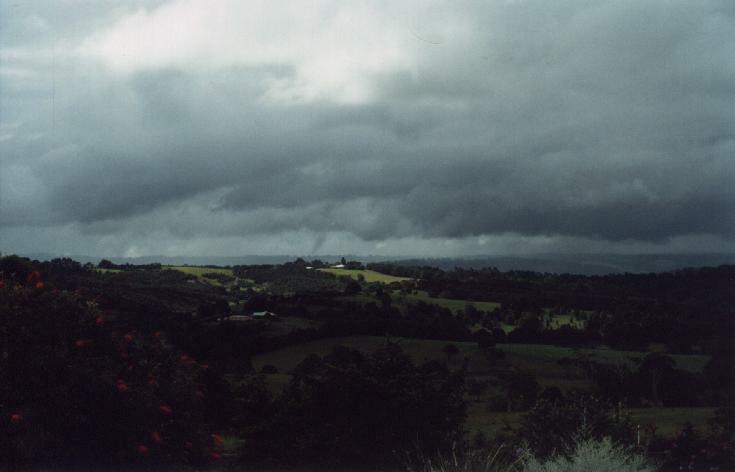 Storms seveloped over the Wollemi National Park during the late morning period. 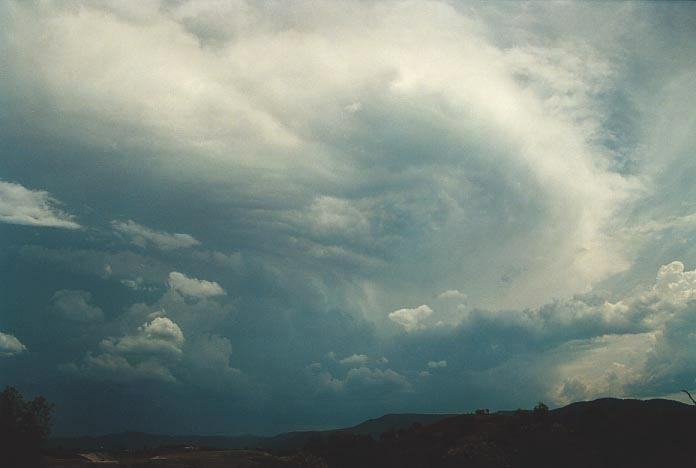 During the early afternoon period, the cell exploded into a very serious supercell and began a left mover. 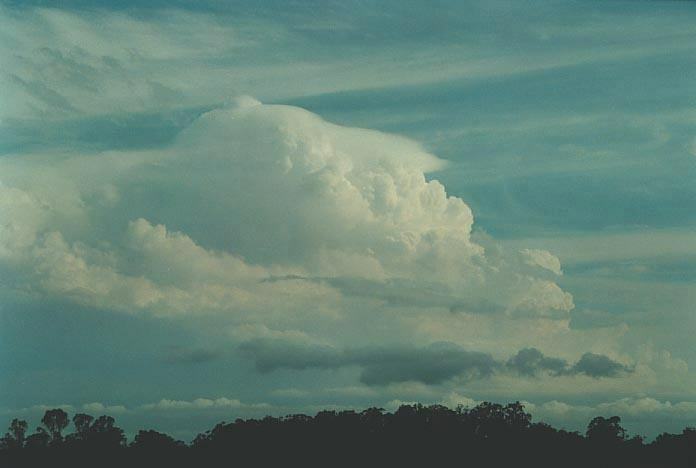 The first visual signs of the supercell characteristic was the (cyclonic curved anvil). 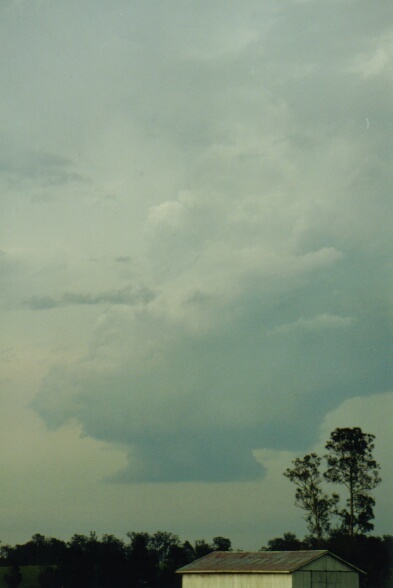 The storm also began to move rapidly north-northeast towards Jerrys Plains. It dumped hail reported up to 5cm. 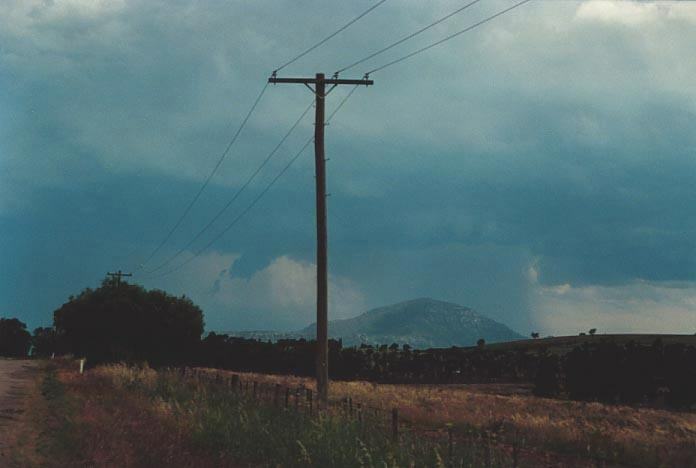 But it was the persistent funnel clouds and an observed rope-like tornado (via video) that was the feature of this storm. 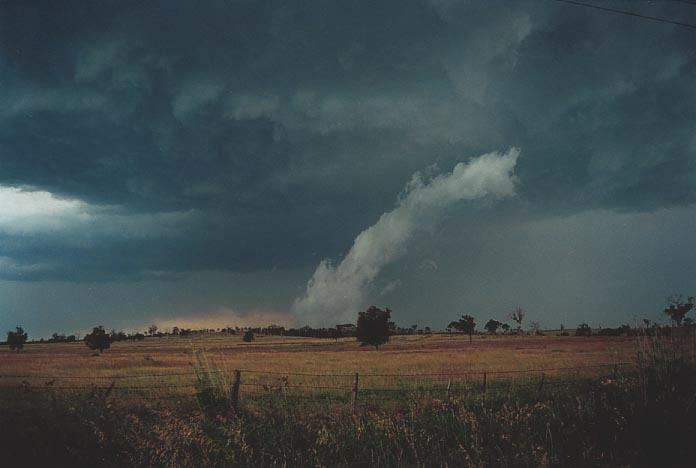 It then became outflow dominated after having a second phase of observed rotation.